It is today, 135 years ago on 14 May 1878, that the Vaseline trademark was registered for the petroleum jelly product developed almost a decade earlier by English chemist Robert Augustus Chesebrough. He patented it on 4 June 1872. Realising the potential of the product, he began selling it through his Chesebrough Manufacturing Company. Vaseline continued to be made and sold by Chesebrough’s company for more than a century, until the company was purchased by Unilever in 1987. It is quite amazing, when you think about the fact that Vaseline started out as an unwanted byproduct of the oil drilling process, what an incredibly useful and versatile product it turned out to be. Not only is it a great moisturiser, working wonders on dry lips, tired eyes and chapped skin (esp hands, heels and elbows), but it also makes a great exfoliating body rub, when mixed with sea salt. From a medicinal point of view, it can sooth and protect burns, grazes, cuts and sensitive shaved skin (or even new tattoos!). For the DIY types, Vaseline is great to keep screw-in light bulbs or bottle lids from sticking, to sort out a squeaky hinge or to loosen a stiff bike chain. It can also be used to remove watermarks from wood, or lipstick stains from napkins and clothing. It’s even useful as emergency shoe-shine. Oh, and here’s one you may not have heard – when you carve up a Halloween pumpkin, you can rub Vaseline on the exposed cuts on the pumpkin to keep it from rotting or drying out! 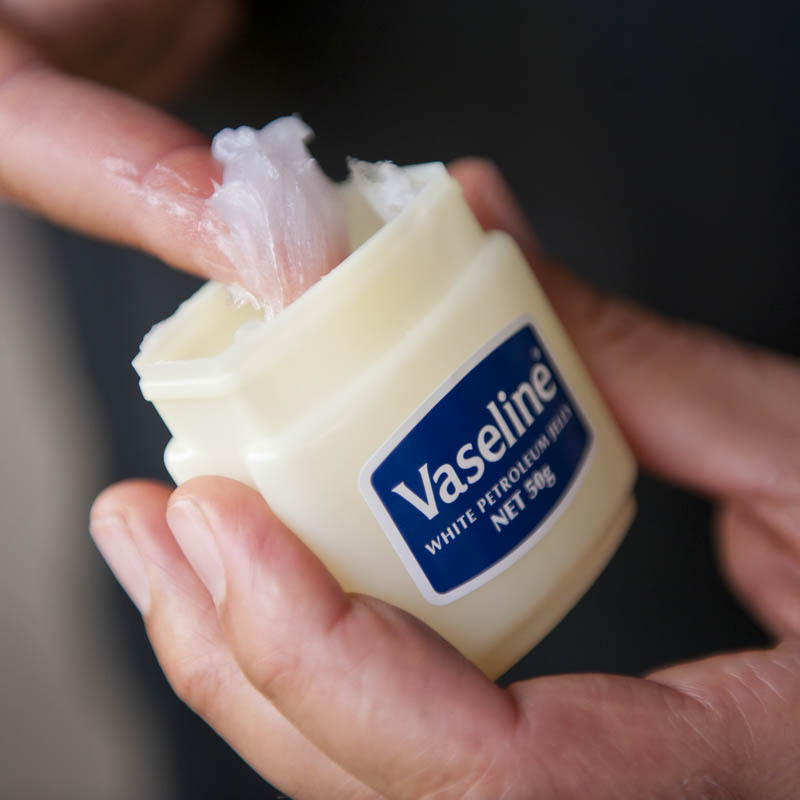 So here’s to Robert Chesebrough and his Vaseline – lubricating the world since 1878.